If you happen to belong to Generation Z (those born after 1997) you will probably struggle to scroll to the end of this paragraph before clicking out. This is no reflection on my writing or even the topic of discussion – but because it is estimated that the average Generation Z’er has the attention span of just eight seconds. For those who have owned a smartphone since they were 13, who have played out their adolescence on social media and who obsessively watch ten-second disposible ‘snapchats’, perhaps this is not surprising. Gen Z’s consumption of media has been summarised as ‘Blink, Share, Laugh, Forget’. On the one hand, this is not necessary a negative thing. It means that Gen Z are fast processors of information, adept at sifting through what is relevant and what appeals (which is one reason why advertisers find them so elusive). And yet, there is no doubt that Gen Z find it hard to focus for sustained periods of time, particularly over text. Firstly, it is important to remember that Gen Z – even more so than their immediate Millennial predecessors – envision the internet as predominantly a visual and video medium; little wonder that companies such as JP Morgan are starting to recruit via Snapchat. 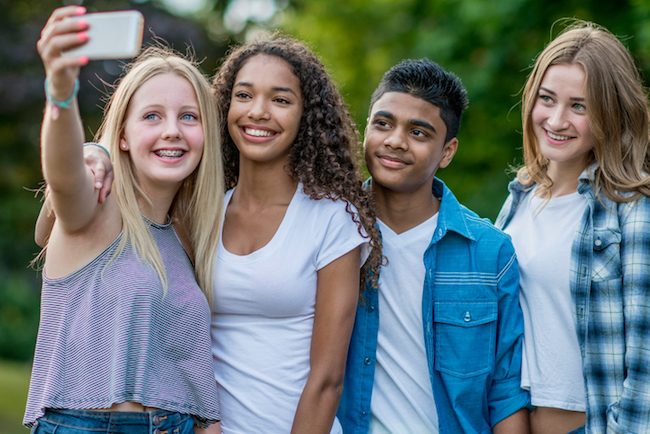 For Gen Z, it is the app-based visual-social world of YouTube, Instagram and Snapchat – rather than a text-based information portals of Safari or Google homepage – that is their access point to the world. Their internet is a closed shop. So if Gen Z prizes visuals over text and has a short attention span, what sort of problems and opportunities does this pose for book publishers? How can the industry be responsive to these future readers? Are there reasons to be cheerful? Yes. Room for complacency? No.